The Fredericksburg Morning Rotary is having their annual New Year's Eve fundraiser at Alegria Barn on Highway 16 South, tonight from 7:30 pm to 1:00 am. For a tax deductable donation of $100, you can eat, drink and dance the night away. There will be a silent and live auction, with one item being a week's stay in Maui. Proceeds for this event benefit Golden Hub, Good Samaritan Center, dictionaries for the elementary school and other local projects as well as international projects. Dress is After 5, black tie optional. To purchase tickets, please email Judy Hutcherson. Dance the night away in the Nimitz Ballroom starting at 8 pm. Cocktail dress. Cost is $25 per person. Please call 830/992-2785 for more information. Enjoy the music of Darrell McCall and Justin Trevino at the Fredericksburg Event Center, 224 FM 2093 on Saturday December 29 starting at 7 pm. Tickets are $20 per person. Please call 830/900-1010 for more information. Sean Reefer & the Resin Valley Boys will perform at the world famous Luckenbach Dance Hall on Friday December 28 at 8:00 pm. Please call 830/997-3224 or 888/311-8990 for more information. Santa will be visiting the Wildseed Farms, 7 miles east of Fredericksburg on Highway 290 tomorrow. Even though there are no fields of blooming flowers, there is plenty of holiday cheer. Please call 830/990-1393 for more information. 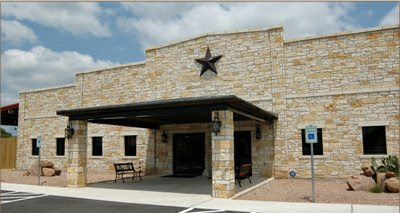 Enjoy the classic cover band "Cody Blue" at Fredericksburg Event Center, 224 Tivydale Rd, on Saturday night at 8 pm. Tickets are $10 per person. Please call 830/900-1010 for more information. The Trois Estate invites you to La Bella Luna's premier fashion show, Wednesday, December 19, from 11am - 6 pm. The Great Gatsby meets Texas Chic. Please call 830/685-3090 for more information. Silver Spur Gun & Blade Show is a collection of guns, knives, ammo, jewelry, fishing, coins, gifts and collectibles at Gillespie County Fairgrounds on Highway 16 South. Buy, sell, trade or just browse. Admission is $5 for adults and 12 and under free. $1 discount for NRA and active duty military. Hours are Saturday 9:00AM - 5:00PM and Sunday 10:00AM - 5:00PM. Please call 806/253-1322 or 830/377-5865 for more information. Dance to the music of Bill Smallwood & Jazz Cowboys at the world famous Luckenbach Dance Hall Friday, December 14 at 8:00PM. Cost is $5 at the door with children 12 and under free. Please call 830/997-3224 or 888/311-8990 for more information. Enjoy free admission into the National Museum of the Pacific War at 311 E. Austin Street, as they celebrate the holidays. There will be refreshments, as well. Please call 830/992-2785 for more information. Enjoy a live band, dancing and beautiful island themed decor at the The Hanger Hotel Pacific Showroom from 8:00PM - Midnight. Join us at the tiki bar and dance the night away. Cost is $20 person. Please call 830/997-9990 for more information. A new family holiday tradition begins this year with the Christmas message and some magic thrown in for the children, including our take of The Nutcracker Ballet at Fredericksburg Theater Company, 1668 Highway 87 South. Admission is $16.50 for adults and $5.50 for children. Please call 830/997-3588 or 888/669-7114 for more information. The Fredericksburg United Methodist Church Chancel Choir and Orchestra presents 'Night of the Father's Love', a evening of music and drama retelling the story of the night God's love came to us in the form of a little baby. Times are Saturday, December 15 at 7:00PM and Sunday, December 16 at 4:00PM, at the curch at 1800 N Llano Street. Please call 830/997-7679 for more information. It’s aGlow specializes in decorative items made from a natural stone called honeycomb calcite, which is mined in Utah and carved in Texas. This translucent stone emits a smoothing glow when lit with candles, lights or sunlight. The family- owned shop is located at 322 East Main. This is their second location, with the original being in the Aztec Building on the River Walk in downtown San Antonio. Call (210)444-AGLO for more information. Dance to the music of Bruce Robison and Kelly Willis at the world famous Luckenbach Dance Hall, Saturday December 15 at 8 pm. This holiday show cost $20. Please call 830/997-3224 or 888/311-8990 for more information. Mar Silver Jewelry has opened at 215 East Main Street. This family owned business has been importing silver jewelry from Taxco, Mexico since 1985. Their first retail shop opened in 2002 at the corner of Houston and Broadway Streets in downtown San Antonio. Stop by say “bienvenido” to Marcos Mar. Call (830)997-0870 for mre information. Hill Country Arts Foundation and the Point Theatre presents "Sanders Family Christmas", sequel to "Smoke on the Mountain". The musical comedy tells the story of the Sanders family who come to sing and witness at the Baptist Church in Mt. Pleasant, NC on Christmas Eve 1941. Performances are Thursday - Saturday at 7:30PM and Sundays at 2:00PM. Please call 830/367-5121 for reservations and more information. 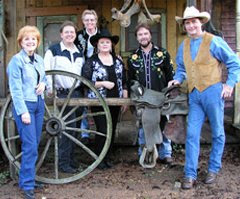 Dance to Miss Leslie & Her Juke Jointers at the world famous Luckenbach Dance Hall Friday night at 8 pm. Cost is $5 at the door with children 12 and under free. Please call 830/997-3224 or 888/311-8990 for more information. Join the Nimitz Museum in honoring Pearl Harbor survivors and their families, 311 E. Main Street. 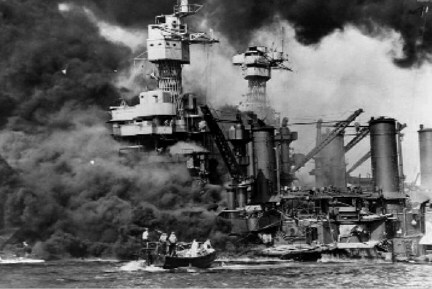 Pearl Harbor Day remembrance begins at 10:30 a.m. with a special premier of the History Channel's History.com documentary, Hero Ships: USS Arizona. This hour-long web-documentary film, seen for the first time ever at the National Museum of the Pacific War, will be premiered in the Admiral Nimitz Museum's Ballroom. There will also be recognition of Pearl Harbor Survivors, placement of wreaths, music by the Fredericksburg Middle School Choir,a special reading by a student of a letter from a Texan who was on board the USS Arizona, and a 21-gun salute. At 2:00 p.m. in the Admiral Nimitz Museum Ballroom, John Holder the founder of Oceanic Expeditions, will present a program on his team's efforts to find historically significant aviation and naval wreckage lost in combat within the waters of Borgen Bay, West New Britain. This area was a focal point of combat for over two years, and hundreds of aircraft and numerous naval vessels are known to have been lost in these waters. Among the more historically significant are the IJN destoroyers, Ariake and Mikazuki, and the USAAF B-25-D-1, Crabb 2nd. Part of OE's mission is to revolutionize marine exploration by employing advanced technology and using small teams to explore, document, and conserve what they find. This fascinating program is free and open to the public. No reservations are necessary, first come, first seated. For over 40 years this has been one of the oldest historic house tours in Texas. Presented by the Gillespie County Historical Society (GCHS), each tour is a selection of restored historic homes, period-styled new structures, and/or other public historic sites in & around Fredericksburg. This year GCHS opens 15 Fredericksburg properties to the public. Click here for a complete listing of the properties. 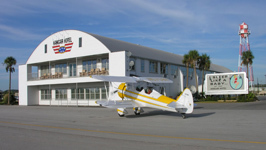 Tickets are $25 per person for the self-guided tour. Tour hours are noon to 7 pm on Saturday night. Guests can also reserve a seat on the trolley, which will transfer them to the front door of each property, while guests enjoy water and snacks. Trolley seats are $15 per person. Tickets can be purchased at the Gillespie County Historical Society, 312 West San Antonio Street, Fredericksburg, Texas 78624, by calling 830-997-2835. Cash, check, Visa and Mastercard are accepted. Tour tickets only can also be purchased at the Vereins Kirche, Pioneer Museum, and Gastehaus Schmidt. Fredericksburg native Kathy Weigand is having an art showing titled "Wild Mustangs, Mountains & Musings" at Kerr Arts & Cultural Center, in nearby Kerrville. Kathy has spent much time over the last three years learning and documenting the struggles of the Wild Horses of Wyoming and Montana. Photography by Kathy Weigand and Oil Paintings by Allen Turk. Please call 830/997-8066 for more details. Anne & Barry Bradley along with Artisans at Rocky Hill, 6266 Highway 290 East, cordially invite you to enjoy a holiday celebration of art with complimentary appetizers, gluhwein and friendship on Friday evening from 5 to 9 pm. Feast your eyes on the fabulous creations of almost 40 area Artisans and Craftsmen. While enjoying the Gallery, visit with the Artisans and learn about their unique skills and talent. Please call 830/990-8160 for more information. The legendary Micheal Martin Murphey's Cowboy Christmas Tour is coming to the Fredericksburg Event Center on Wednesday December 5 at 6 pm! Opening act is Gary P. Nunn with headliner Michael Martin Murphey. Tickets available starting November 19th at Ticketmaster outlets and online. Please call 830/990-1010 for more information.